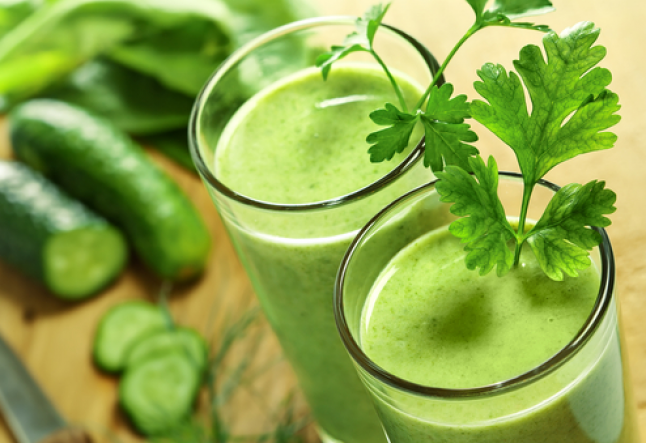 Juicing is one of the easiest ways to get your necessary doses of fruits and vegetables in an efficient and enjoyable way (especially for those of us that lean on the picky side). I imagine you've all heard some rave reviews about the juicing trend, but is this really fact or fiction? Is Juicing Healthy or Harmful?First rule: Juicing is not by any means a substitute for a healthy diet. While a two to three-day cleanse won't send your body into a total shock, be sure not to push yourself too hard or too fast. • Promotes healthy skin, strong hair and nails. Second rule: Juice both fruits and veggies. It's easy for beginners to forget how much food they're actually consuming in each glass. When you remove the fibrous exterior of fruits, you reduce some of the health benefits and end up consuming more sugar than you bargained for. Manual Juicers: As implied, these don't require any electricity, just a little elbow grease. These devices are somewhat limited in what you can juice and are usually best reserved for either citrus, wheatgrass or small leafy vegetables. Some of these juicers are available for less than $10. Centrifugal Juicers: This juicing system is the most readily available. The devices uses a cutting blade to chop the produce and then spins it at a very high speed. This variety is less efficient at extracting juice than a single or a twin gear juicer, but a great choice for someone who wants efficiency and easy cleanup. Prices range from $89-$199. Single Gear Juicers: Masticating juicers have a single blade that chews up and crunches all produce into a pulp and helps break down the hard, fibrous rinds and peels. They run at a lower speed, but that means there's no froth on your juice and that the most essential nutrients are preserved. This option provides the best overall value, and you can purchase a good one for around $250. Triturating Juicers: This top-of-the-line device is the juicer of choice for serious juice-junkies. This type of juicer, equipped with high-pressure twin gear technology is versatile and can juice almost anything, including fibrous and hard fruits and vegetables. These juicers are slower, but well worth the wait. The average price range for this type of device ranges from $350-$990. What Are the Best Ingredients to Use? Organic vs. Non-Organic. Avoid consuming harmful chemicals with non-organic foods. Here's a list of foods that are best for organic eaters. Vegetables vs. Fruits. Vegetables provide the healthier juice of the two. Use more vegetables in each batch and add fruit to sweeten the taste if needed. Diversity vs. Routine. Switch up the usual. Remember, juicing is an opportunity to try foods or take-in nutrients from a variety of foods that you might not normally eat. Ideally, fresh juice is best to consume within 10-20 minutes of juicing, but they can be stored for up to two days if necessary (depending on the method of juicing used.) When storing, use glass canning jars, and remember to leave very little airspace at the top. If a little juice spills out, that's a good thing! Refrigerate immediately.